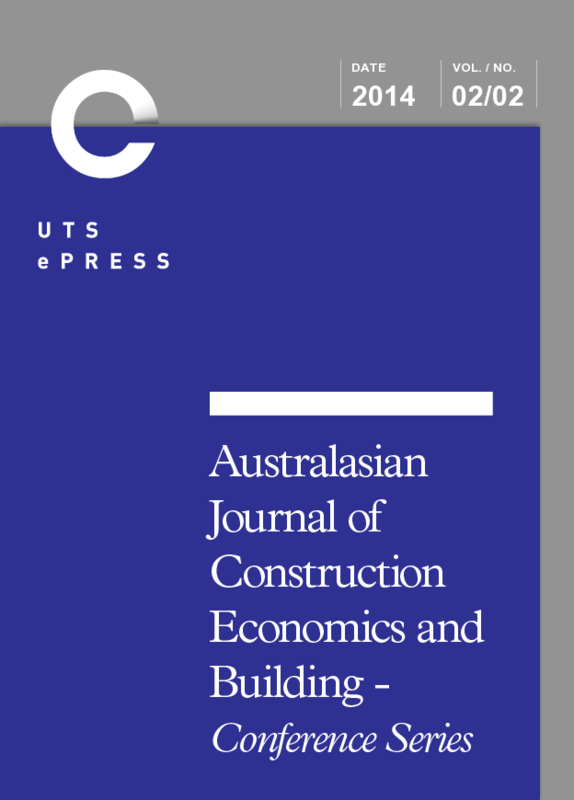 The Australasian Journal of Construction Economics and Building - Conference Series (AJCEB Conference Series) is a peer reviewed, open access publication, free to both readers and authors, publishing outstanding papers from selected conferences. Although associated with AJCEB, the AJCEB Conference Series is an independent publication which offers the organisers of selected conferences an opportunity to publish the very best papers from their conferences. This journal is no longer accepting submissions. It ceased publication in December, 2014 and is now a UTS ePRESS Archived Title.